LoneMeow and disformation will be co-hosting. All night actions should be submitted to all three of us! Please note that all voting will be done in a separate voting thread. 6 spots in this game are reserved for new players*. The other 7 spots in this game are open to anyone, but new players still take priority and can possibly bump other players from these spots. These numbers are flexible, but the goal is to bring new members in and give them a chance to play. If you're a forum regular, please bear in mind there will be newbies in this game and act appropriately to introduce them to TL Mafia. Signup for the game by posting /in in the thread if you are new, or /in: Open if you are not. It may take several weeks for the game to fill up so you are responsible for being aware when the game begins. I'll usually send out a confirmation PM a day ahead of time. The role PMs and night posts are purely flavor text. There are no clues. You are expected to keep up with the thread and participate in discussion daily. If for some reason you anticipate that you will not be available for a period longer than 24 hours, please notify a host ahead of time. If the host deems a player is inactive, they may be warned or removed from the game. Please try to limit yourself to a maximum of 5 pages/filter per cycle to ensure the game thread stays manageable. Since this game may start during the holidays, we will make special accommodations to ensure that a deadline does not occur on Christmas Eve, Christmas Day, or New Years' Eve. This game will follow a 48 hour day/24 hour night cycle. Any votes after the deadline will not count and the game will be put on hold until the night post is up. The deadline for each cycle will be 22:00 GMT (+00:00). Votes cast up to :59 will be counted, but :00 will not. This is a mafia game for 12 players. 3 players will be randomly selected as mafia. All role assignments will be random as well. The mafia wins if the number of mafia players alive is equal or greater to the number of town players alive or nothing can prevent this from happening. Each night, the mafia can choose to kill 1 player. This game uses a semi-open setup. The list of possible roles will be revealed, but the number of each role will not. All roles aren't necessarily present. Multiple players may share the same role. The mafia will not be informed of the setup ahead of time. You are an Average Joe, a Vanilla Townie. You have no special abilities, but your voice and your vote are just as important as anyone else's. You win with town. You are Steve the Pirate, a Town Detective. Every night, you may choose a player to investigate for buried treasure. Instead, you will receive their alignment! You will visit the player and receive "Town-aligned" or "Mafia-aligned" as a result. If you are roleblocked, you will receive "No Result". You win with town. "The dread pirate Steve be in no man's debt. I'll make a barter with ya; true as the north star. 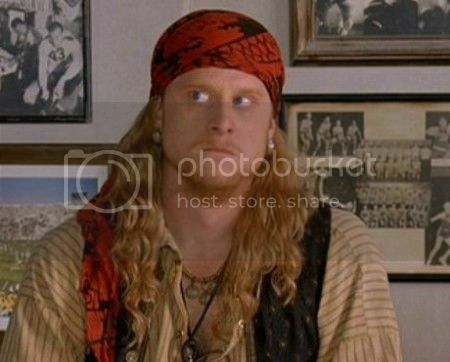 In exchange for your kindness, I'll be sharing me buried treasure with ya... once I find it, that be." You are Kate Veatch, a Town Doctor. Your obsession with unicorns has granted you magical powers. Every night, you may choose a player other than yourself to protect. You will visit the player, and if the mafia attempt to kill a player you are protecting on the same night, the kill will fail. Neither you nor your target are notified of a successful save. You may not protect the same player on consecutive nights. You win with town. "I'm not a banker, I'm a lawyer. 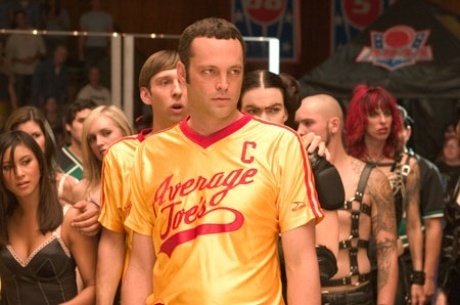 You are Peter La Fleur, a Town Vigilante. Once per game at night, you may select a player to kill. Just make sure to do it blindfolded! If your target was also shot by mafia, or was protected by a doctor or veteran status, your bullet is lost. If you were roleblocked, you don't use your bullet and can try again he next night. You win with the town. "In 23 years of broadcasting I thought I'd seen it all, folks. But it looks like Peter La Fleur has actually blindfolded himself. He will not be able to see very well, Cotton." 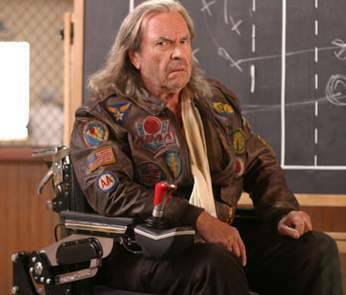 You are Patches O'Houlihan, a Town Veteran. 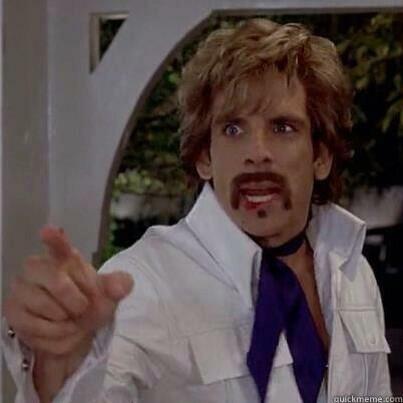 As a dodgeball expert, you are so evasive that no bullet could possible hit you! Too bad the same doesn't apply to multiple bullets. The first time in the game you are shot at night you will survive. If you are roleblocked, you will die to a night shot. You will not be informed if you survived a hit. You win with the town. 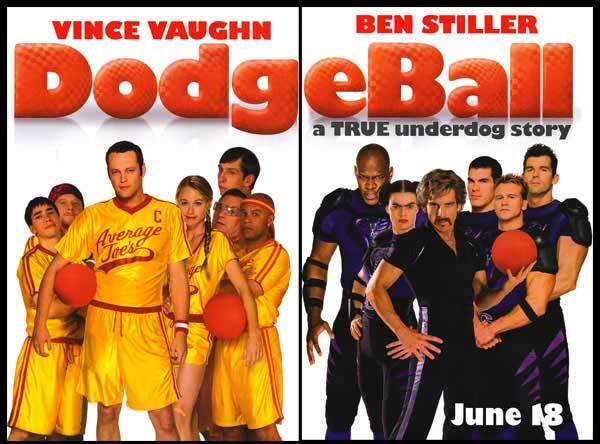 "If you're going to become true dodgeballers, then you've got to learn the five d's of dodgeball: dodge, duck, dip, dive and dodge!" You are White Goodman, a Mafia Godfather. Thanks to Glbo Gym's competitively-priced on-site cosmetic surgery, you return "town" to detective checks, as though you were a vanilla townie. You may communicate with other members of your mafia team outside of the game thread at any time. You win with the mafia. "At Globo Gym we understand that "ugliness" and "fatness" are genetic disorders, much like baldness or necrophilia, and it's only your fault if you don't hate yourself enough to do something about it. " You are Fran Stalinofskivitchdavitovichsky, a Mafia Roleblocker. Your throw is so powerful that you can incapacitate players with a dodgeball. Each night you may choose a player to roleblock, which will prevent them from performing actions that night. The roleblocked player will not be notified. You may communicate with other members of your mafia team outside of the game thread at any time. You win with the mafia. "Meet Fran Stalinofskivitchdavitovichsky. 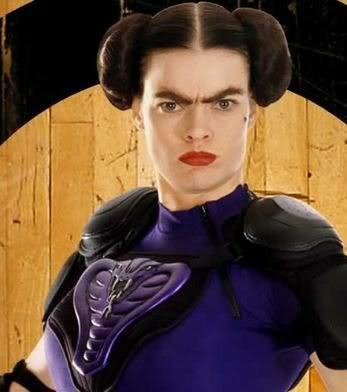 In her home country of Romanovia, dodgeball is the national sport and her nuclear power plant's team won the championship five years running, which makes her the deadliest woman on earth with a dodgeball." You are a Troop 417 member, a Mafia Goon. You would have won the regional qualifier if it were for Bernice! You have no special powers, aside from selling cookies. You may communicate with other members of your mafia team outside of the game thread at any time. You win with the mafia. "During the ADAA-approved random drug screening, one of your players tested positive for three different anabolic steroids, and a low-grade beaver tranquilizer. 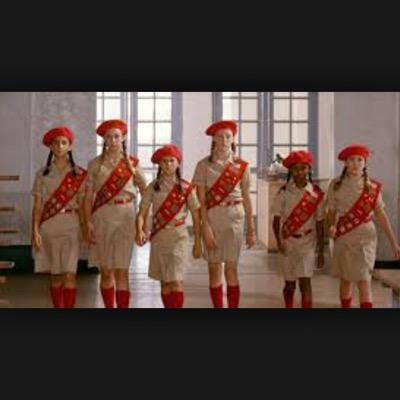 Therefore, Troop 417 is disqualified." Q: Can good guys communicate outside of the thread? What about just the Detective? A: The good guys can't communicate outside of the thread. This includes the Detective. A: You are not allowed to vote for a no-lynch. 5th game means I'm not a newbie anymore though...boo. Hopefully this starts before the holidays, so I can spend Xmas day getting drunk and mislynching Alex. Eh, when I tell people about DT, I'll say that Alex sheeped me on to you. Still wish I had yolo shot you n1. A part of me almost wishes you had. I wasn't happy with myself in any sense. I'll take your b8 OP. If I've had plenty of mafia experience (Played for several years with well over 50 completed forum games) elsewhere but never at TL should I be inning as a Newbie or in the 'Open' category? It's up to you. The only difference is whether or not you would have access to a coaching quicktopic. We may have a different playstyle or use different terminology than elsewhere where it may come in handy, but you're definitely experienced enough that you'd be fine playing without one. /in Yay! been waiting for this. Tons of hosts and coaches. WTB players! People scared that my #streak of six games town without being mislynched is going to continue.